President Nana Addo Dankwa Akufo-Addo was deeply worried when his political opponents doubted his ability to fulfil the promises he made to Ghanaians ahead of the 2016 general elections. According to him, he is not a man who breaks his promise. 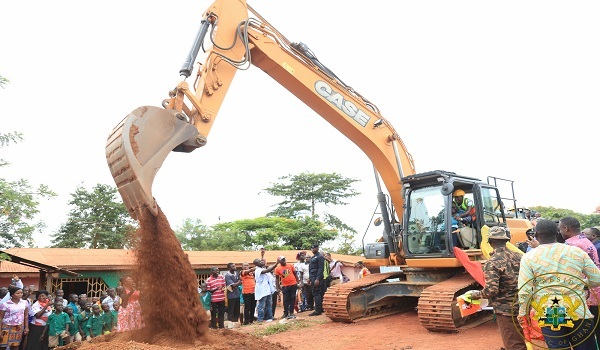 Speaking at the sod cutting ceremony for the construction of a 24km road from Kejina Chirano to Etwebo Akoti in the Bibiani Bekwai Municipality in the Western Region, President Akufo-Addo said he is fulfilling his campaign promises contrary to the doubts his opponents had peddled. “They said I couldn’t revive the National Health Insurance scheme, that I can’t restore the nursing training allowances and that of teacher trainees. Anything that I said, they claimed I was deceiving Ghanaians. I was really worried about such claims because I am not a liar. Now I’m fulfilling all my promises one at a time,” he added. 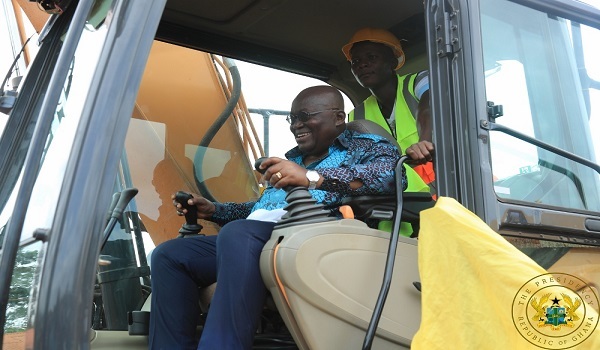 While cutting the sod for the road, President Akufo-Addo said in the run-up to the 2016 elections, he decried the poor nature of the roads not only in the Western Region, but across the country, and assured that if he won the elections, he would do something about them. “Indeed, the majority of the country’s resources are from the Western Region. That is why in the 2017/2018 budget, amongst others, the Kejina-Chirano road was earmarked for construction. The contractor on this road should be minded about the fact that funds have already been allocated for this project. So I will not countenance any form of delay.